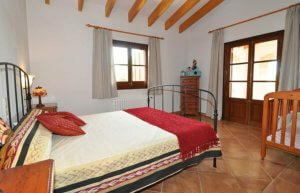 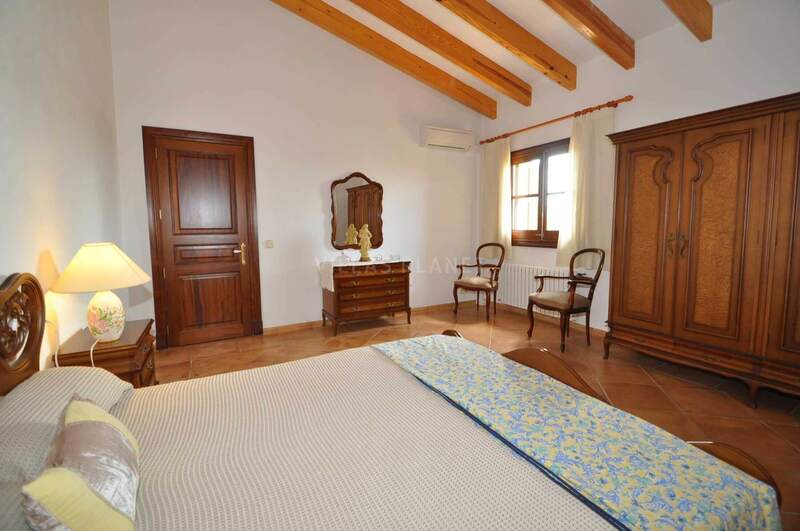 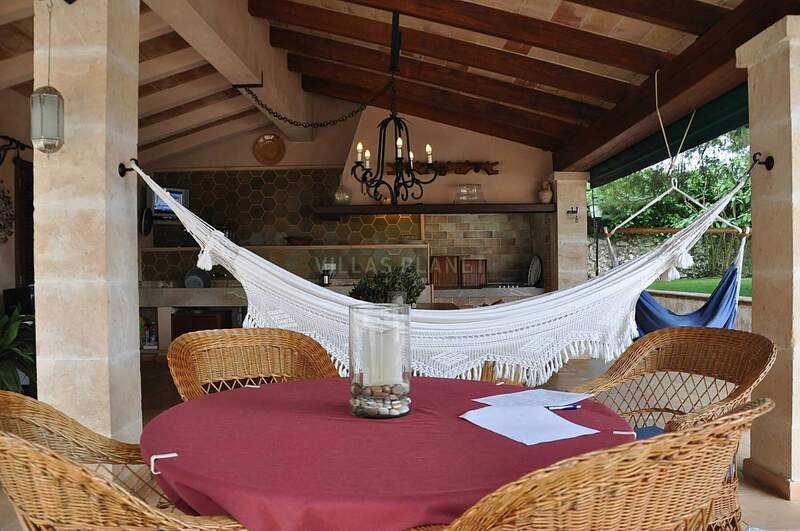 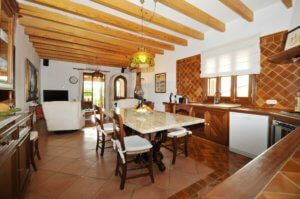 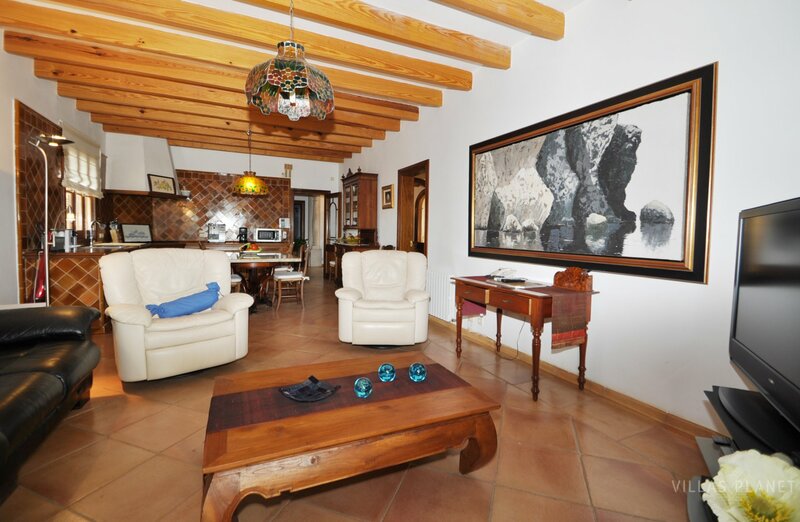 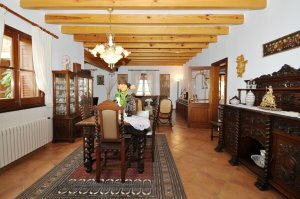 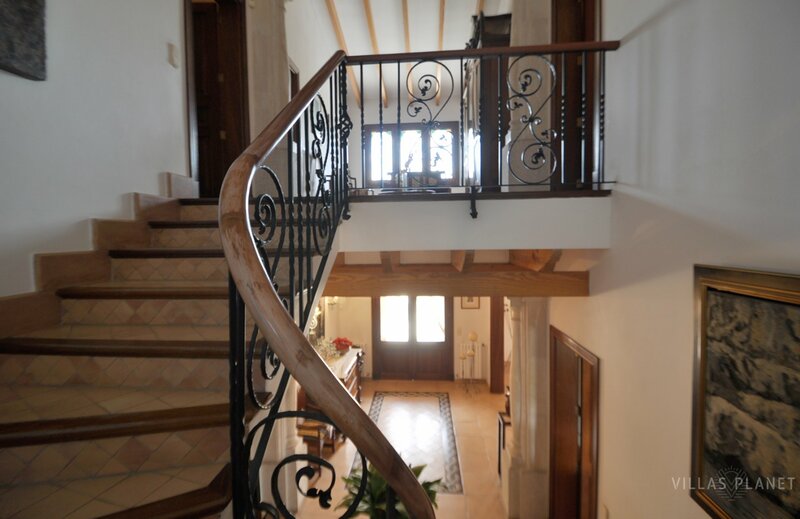 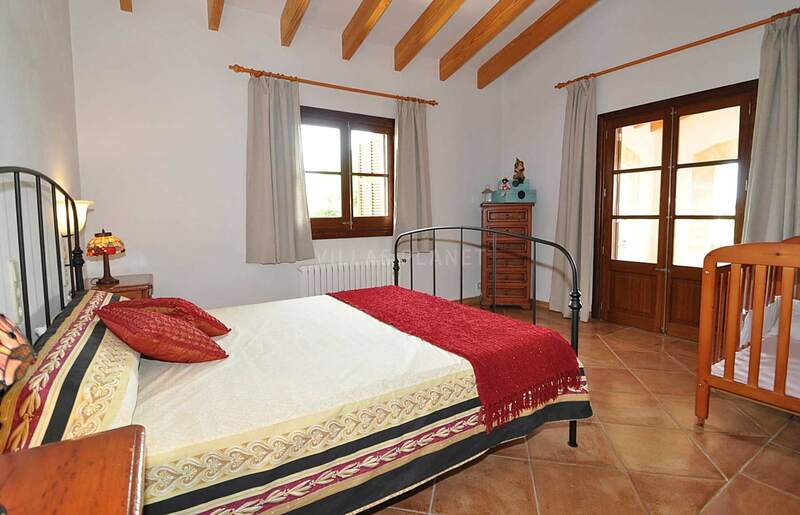 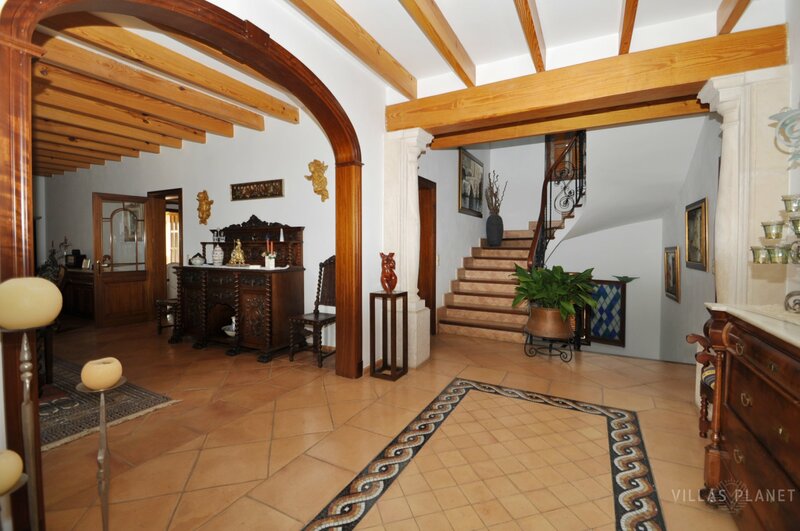 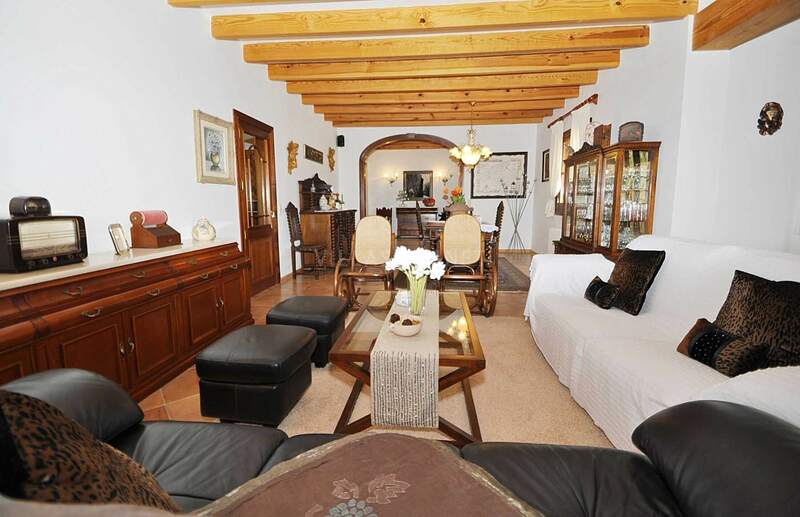 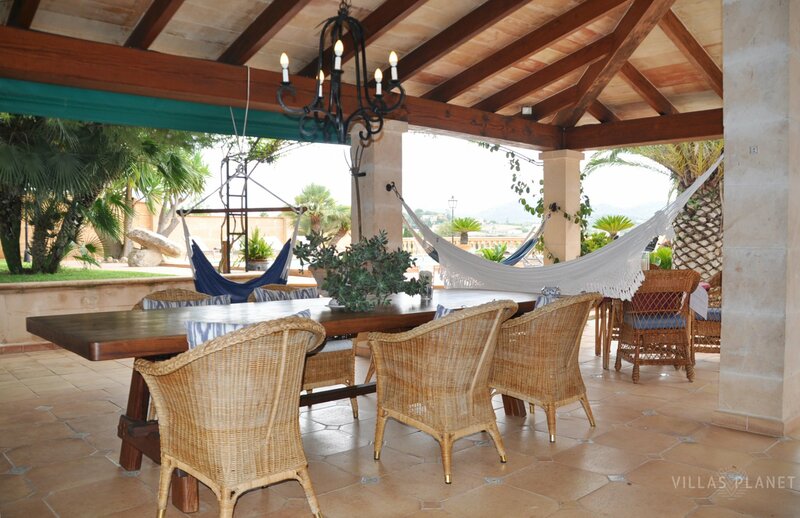 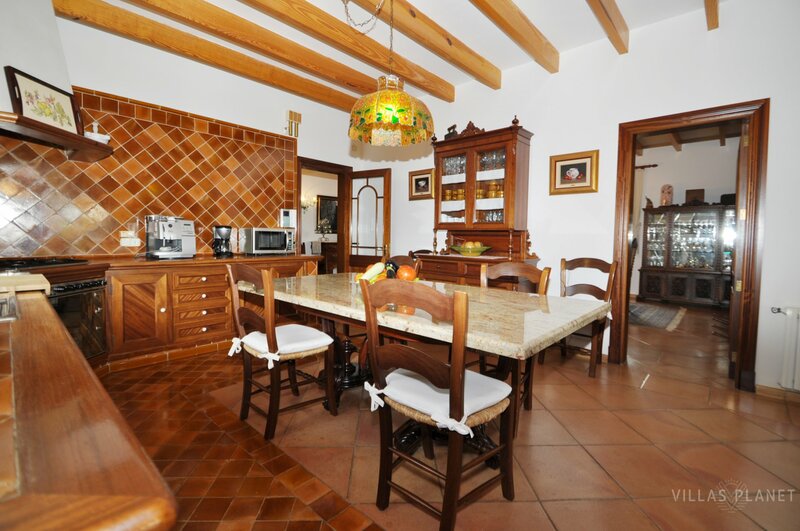 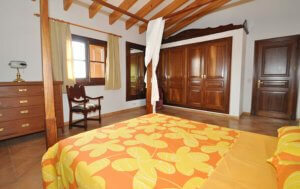 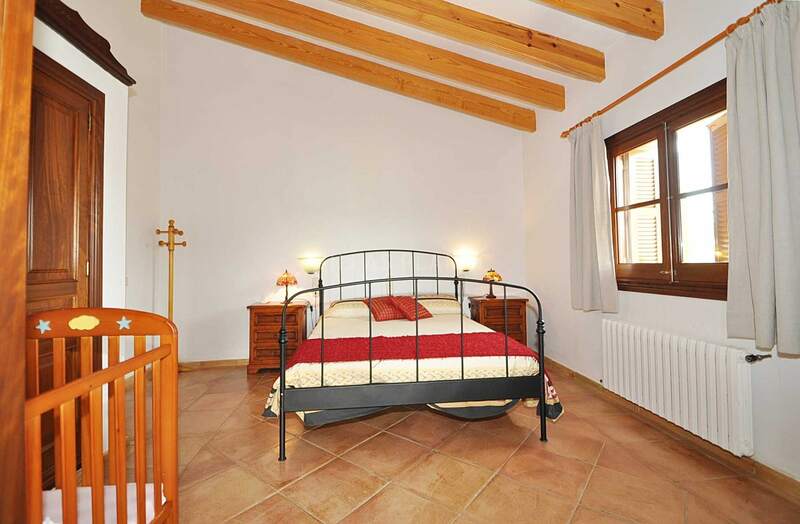 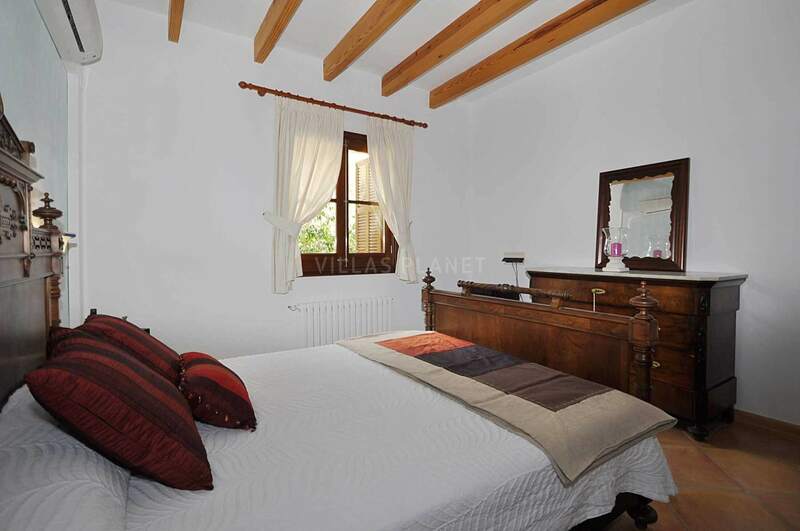 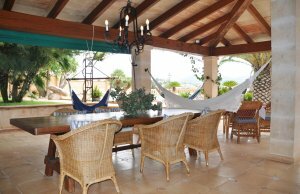 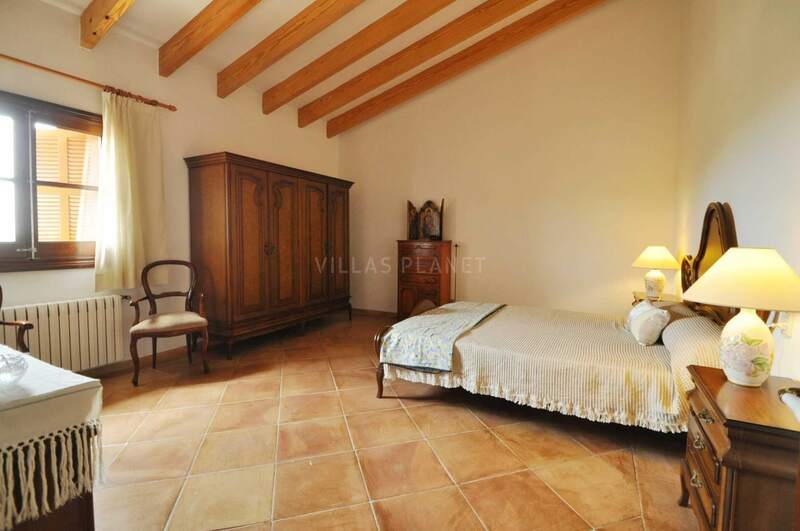 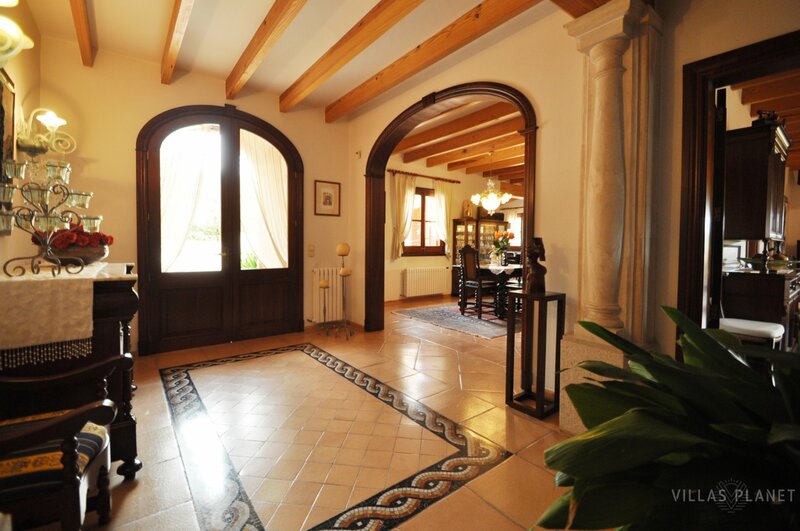 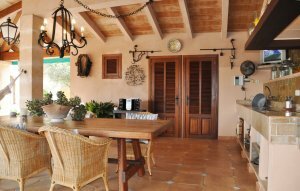 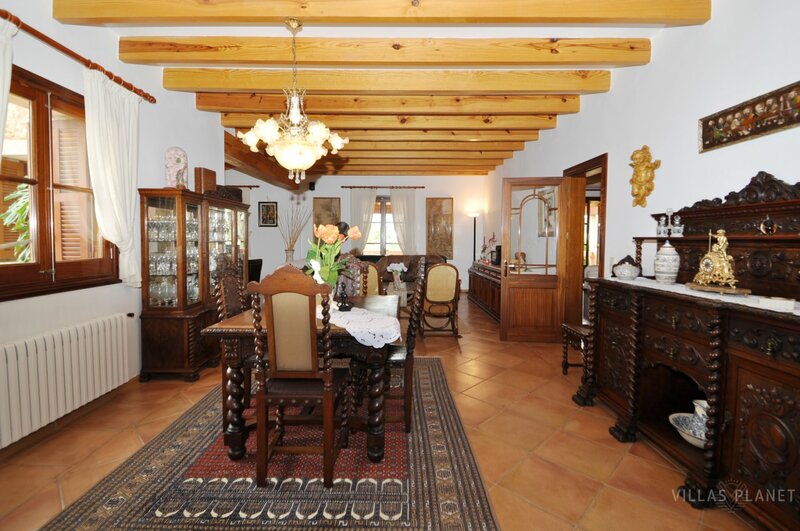 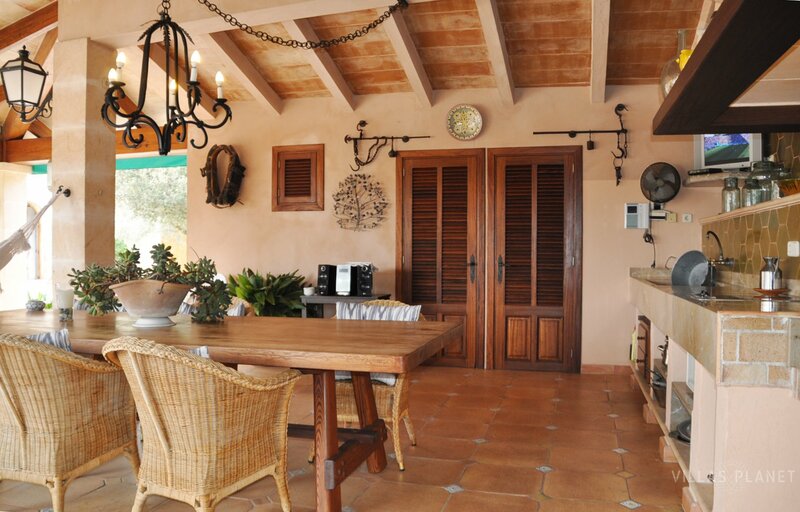 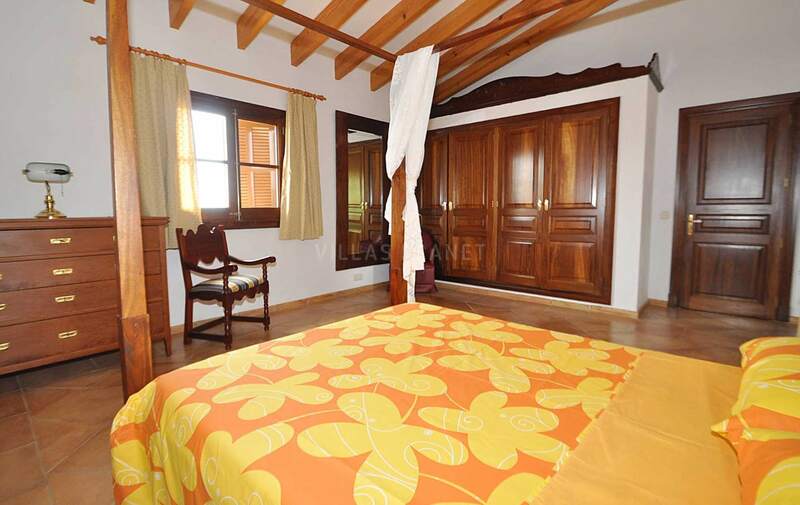 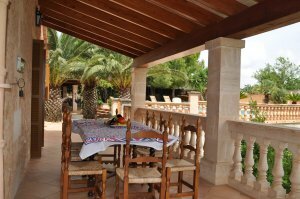 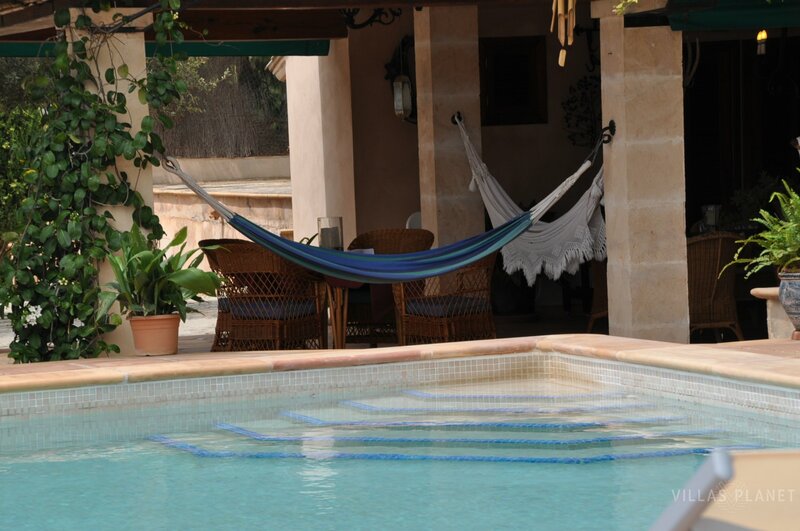 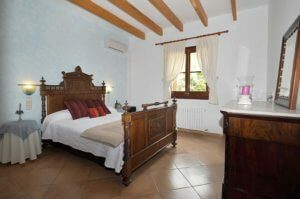 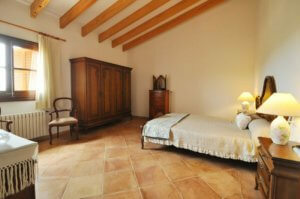 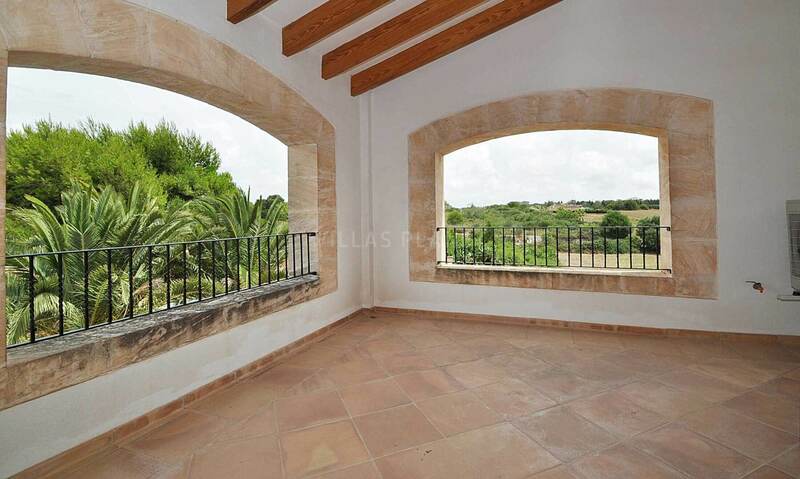 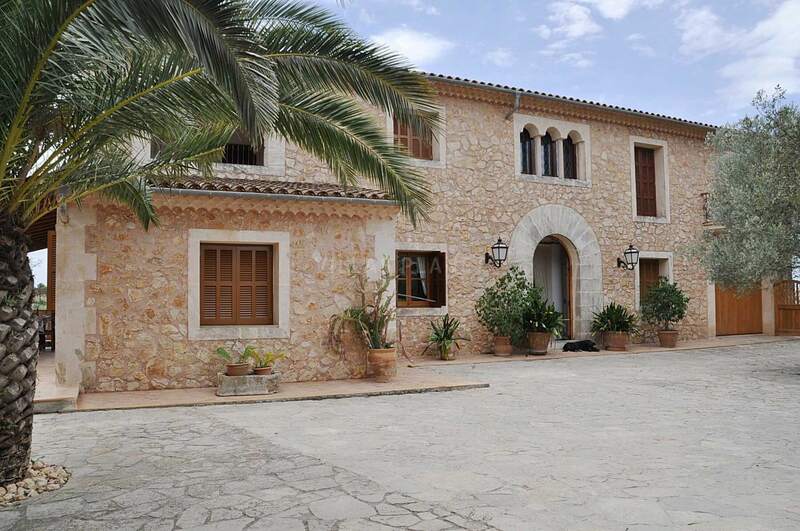 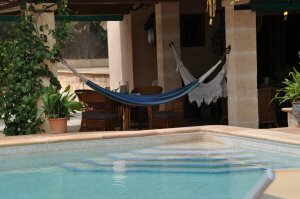 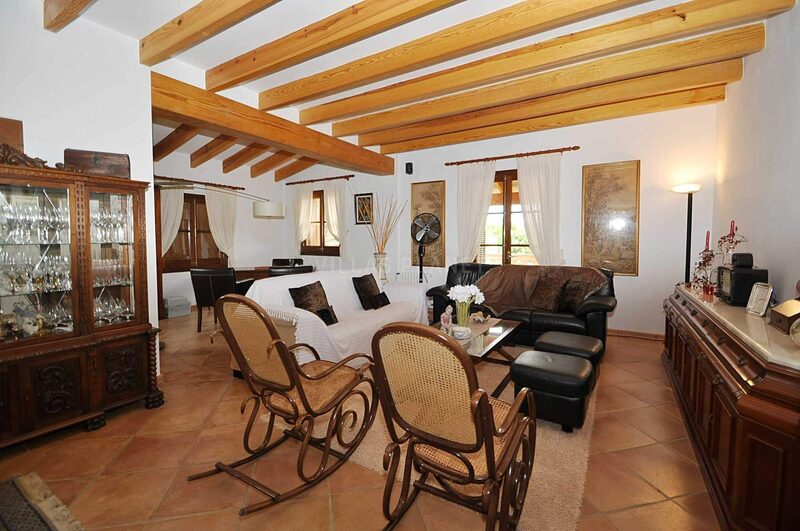 The villa 'Sa Font Nova' with views to the countryside and mountains its ubicated around the outskirts of Manacor. 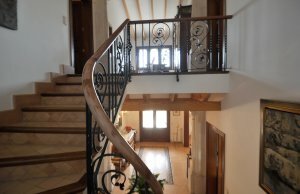 The house was built in a level of luxury and equipment, with the structure and façade of typical stone 'Majorcan manor' and inside quality furnished, modern and with all the amenities. 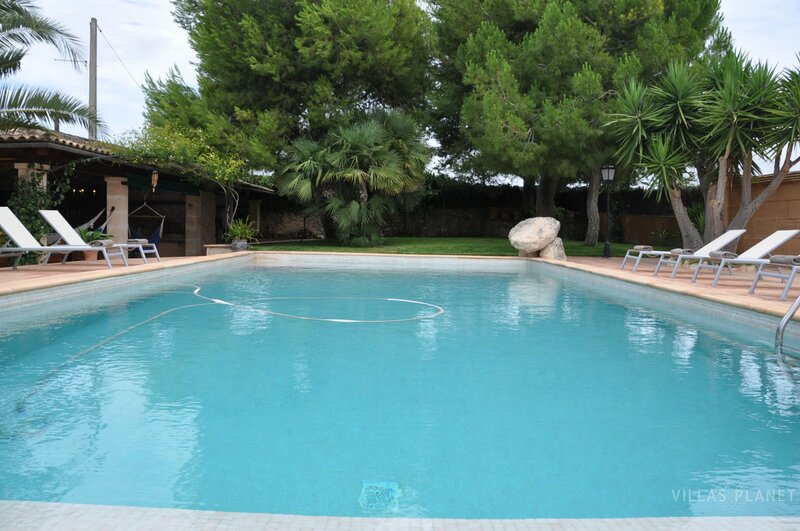 The property is located 1 mile. away from Manacor Town, which has direct access from the road Manacor to Portocristo (sometimes you can hear the murmur of the road). 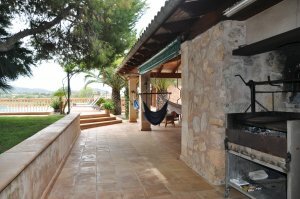 Portocristo the nearest touristic and beach place also called 'Es Port de Manacor' easy enjoying just a 10 minute drive. Inside the house all the rooms are very spacious, comfortable and luxurious, comprises over two floors with a large living room, next to the huge kitchen with dining-office and in turn also is another lounge with TV and direct access outside to porch terrace where is a fixed BBQ, pool, garden with lawn and a large side porch terrace. In addition to the outdoor pool area enjoying full extent of private land with olive trees in full production, Sa Font Nova The farm, produces its own olive oil, which can enjoy your stay in the house. 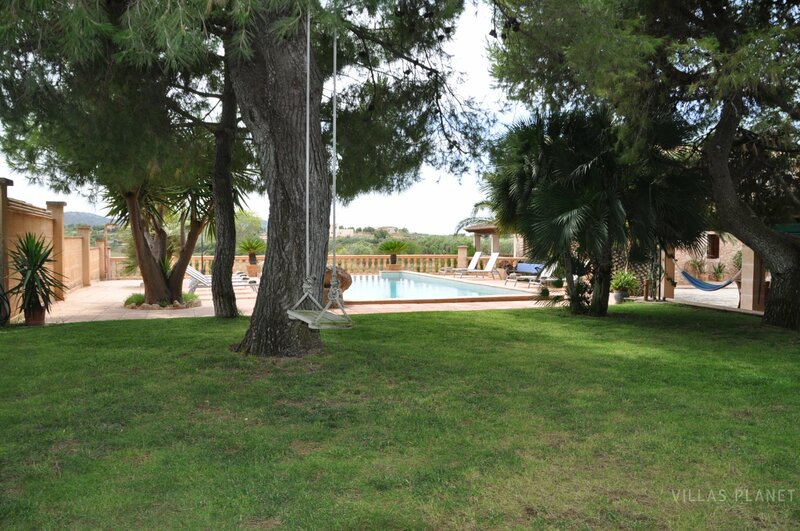 Golf fans have the Pula Golf about 20 km. 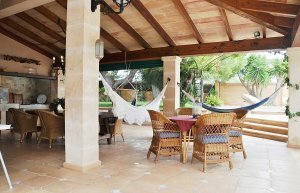 The beaches and leisure areas are also nearby beaches like Porto Cristo, Porto Colom, Cala Mandia, Cala Romantica ... all of them are only about 15-20 minutes drive from the property. 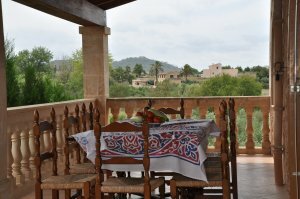 Palma de Mallorca : 53 km.